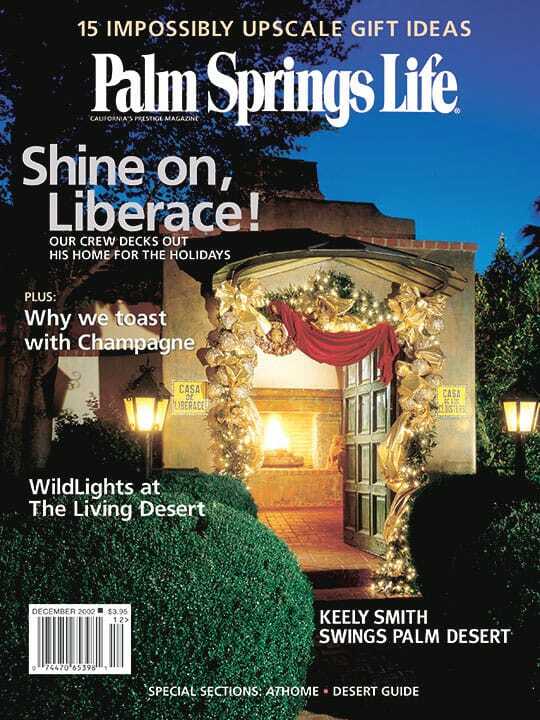 ON THE COVER — Liberace’s legacy of the over-the-top aesthetic endures at his former Palm Springs home. Photography by Ethan Kaminsky. By Jeff Atwell. Photography by Ethan Kaminsky. Armed with red velvet, gold lamé, daring ornaments and lights by the thousand, Philip Colavito and Dean Seymour of Roco Design answer Palm Springs Life‘s call to deck out Liberace’s former Las Palmas estate for the most festive season of the year. It’s twinkle time at The Living Desert. We go behind the scenes at WildLights and reveal what it takes to plug in the desert’s grandest holiday light show of all. Photography by Patrick Olson/Kaminsky Productions. Elegant and perfect in itself, Champagne goes with almost everything – especially celebrations. Writer Ellen Kanner explains how to choose a bottle and imbibe in style. Open your wallet as wide as your heart and show your holiday spirit in unforgettable fashion. Our impossibly upscale holiday gift guide offers 15 great ideas. Snowy white lilies take their richly deserved place at the holiday table. 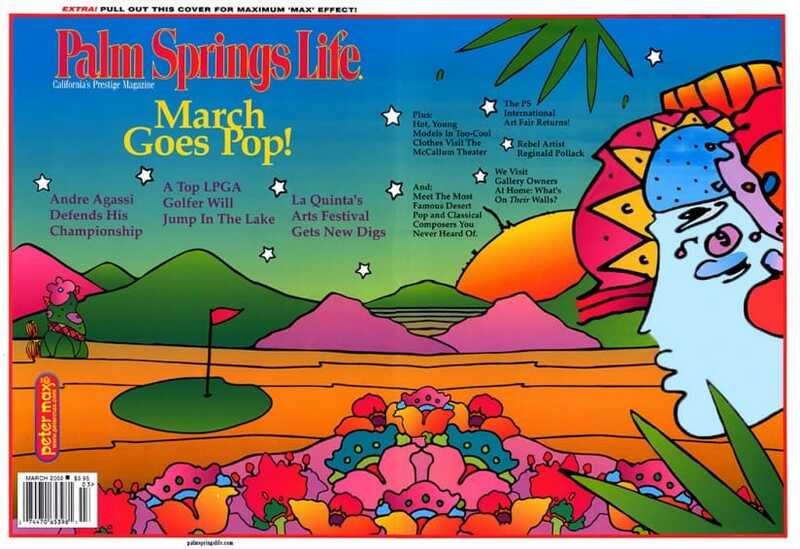 PLUS: Monte Stettin’s head-turning homes, great guest rooms, brilliant candlesticks and more!